My family recipe for "Cartellate" cookies was one of the 100 recipes selected in the Best of Food Blog Cookbook Contest. Those look outrageously good, if not a huge pain to make. Congratulations on the nomination, and keep the great blog posts coming. Your lovely cookies deserved the award! Congratulations! And they look amazing!! Thank you for your comments. The recipe comes from Puglia and is an old family recipe. They are not cookies you would make everyday as they take quite a lot of time. We generally make them for weddings and holiday's. They are addicting and came to the US with the rest of our family recipes in 1912. 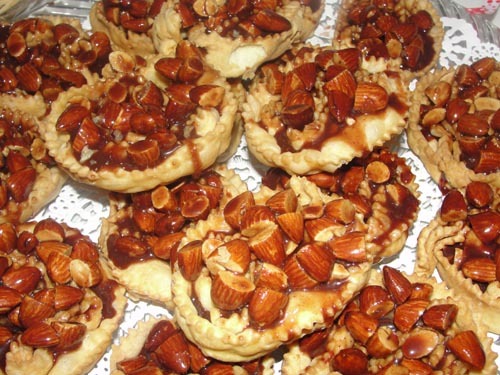 They are still made in Puglia but we change the filling by putting roasted almonda rather then walnuts.